In fact, you probably have both of these ingredients in the house right now. The secret is bread and butter. White sandwich bread will work. I used brioche because I like things extra buttery. Just don’t use a tough bread like sourdough or baguette, they are too crusty. And that’s it! I felt so bad posting a recipe this simple, that I decided to also post the recipe for a filling combo. 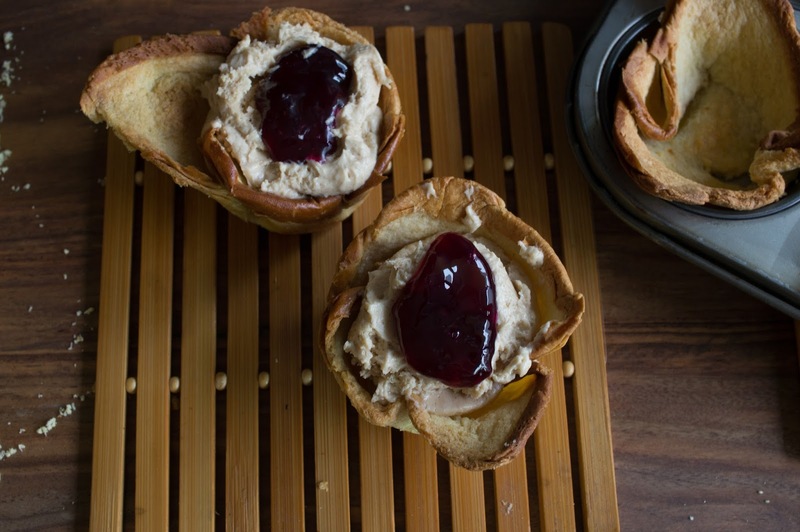 And what better to fill a sandwich bread crust than a class sandwich filling – peanut butter and jelly. The peanut butter part is like a peanut butter pie. Smooth, light, and creamy. You can use any jelly that you like. I made my own from some coronation grapes that we got in our veggie delivery bag, but store-bought works just fine. Together, it’s sweet, tart, and buttery. The perfect bite. But this pie crust is super flexible. Fill it with anything you like, sweet or savoury! Any no-bake filling works! How about sweetened cream cheese and berries? Or whipped cream cheese with smoked salmon. Go with your gut. 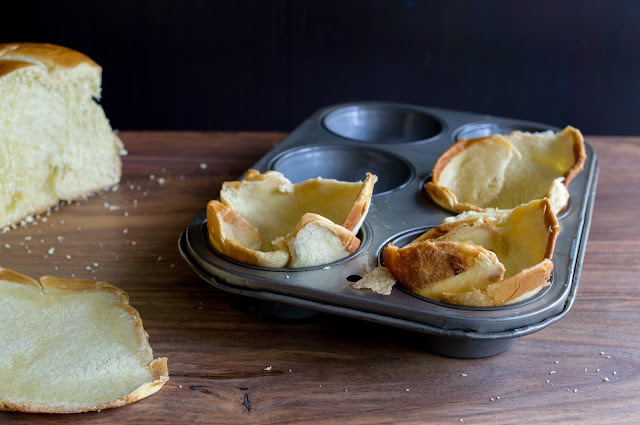 And never lose sleep over pie crust again. 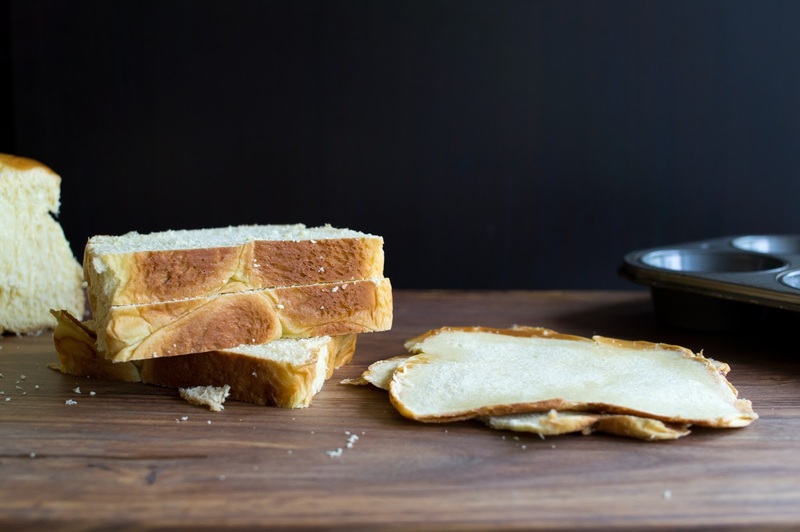 Remove the crusts from the bread, if you like, especially if they are tougher. 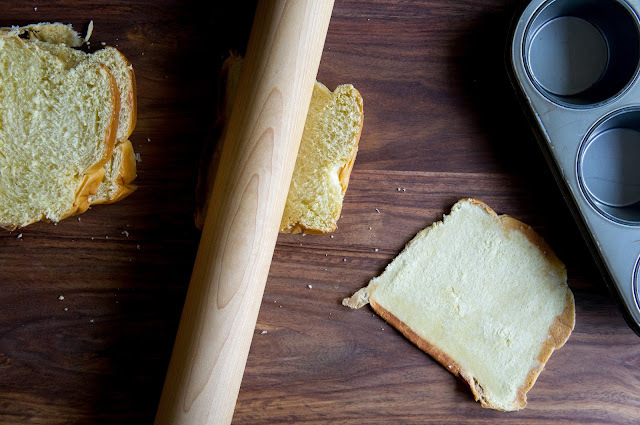 Using a rolling pin, flatten each slice of bread. 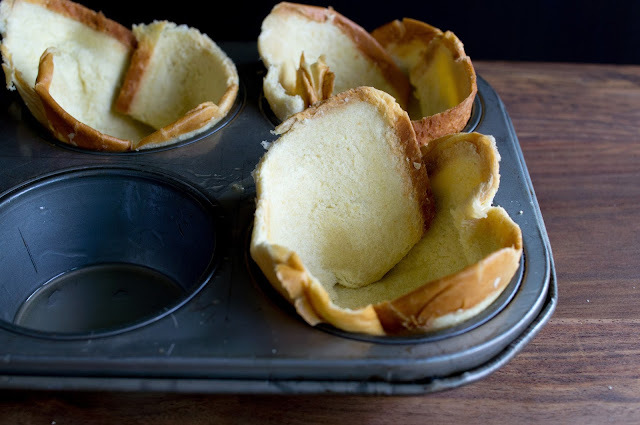 Brush the insides of a muffin tin with melted butter. 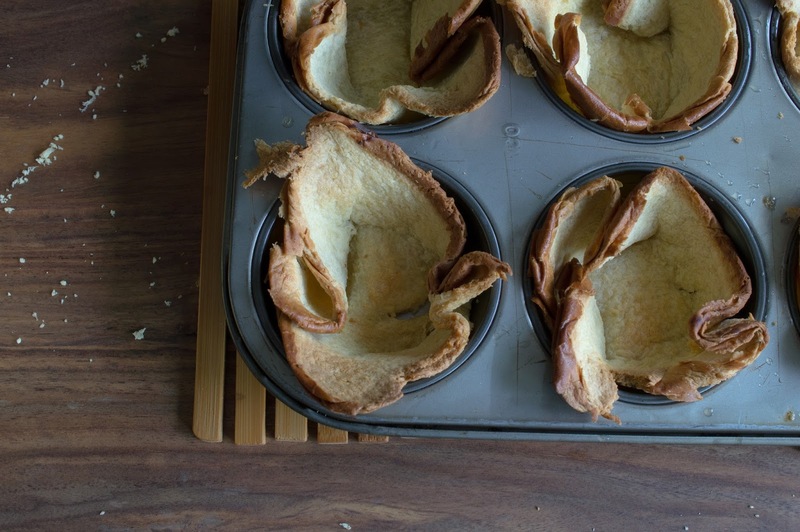 One by one, place the bread pieces into the tin, one per cup, folding sides as necessary so they fit in. They might rip sometimes, that’s ok. You can patch any holes with little pieces of bread, pressing firmly. Brush the inside of each cup with melted butter. 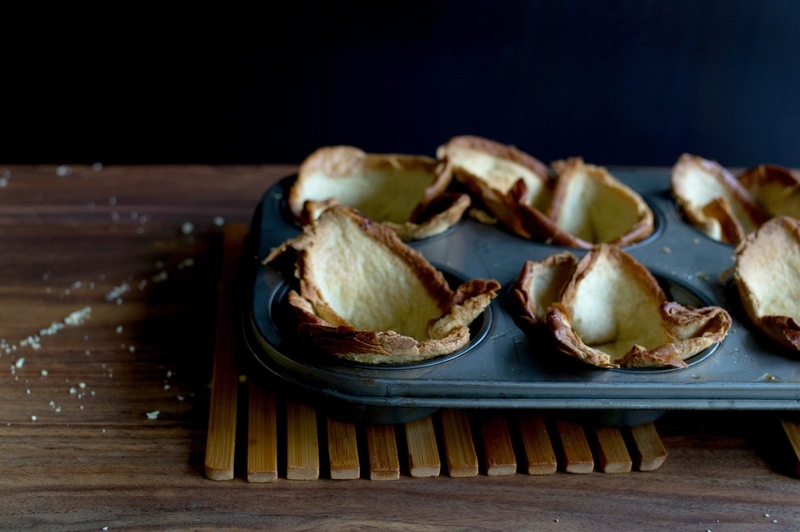 Bake crusts in the centre of the preheated oven for 12-15 minutes, until golden brown. Let cool in pan 5 minutes, then turn out and let cool completely on a rack. Fill with anything you like such as the PB&J filling below! 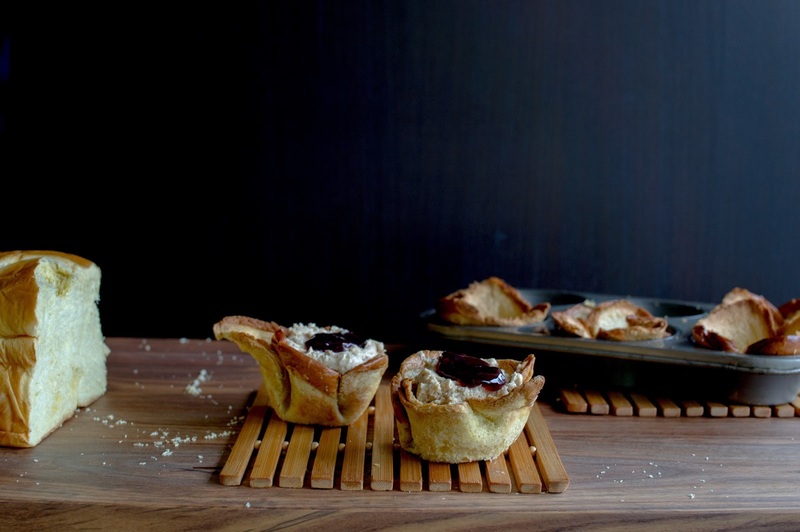 Spoon peanut butter filling into each pie crust. 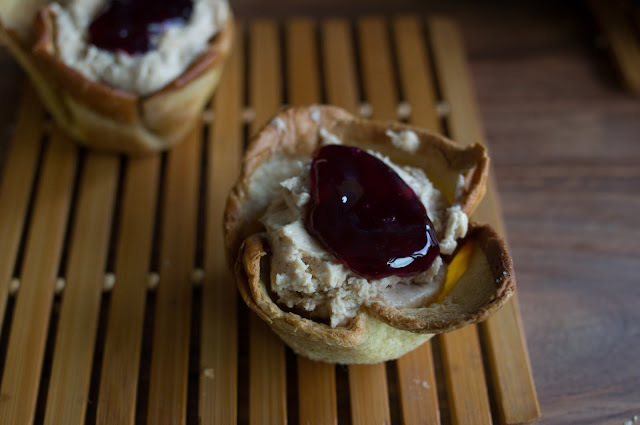 Top with 1 tablespoon grape jelly. Refrigerate for 4 hours or overnight. You can eat them right away too, but they will be soft and likely leak all over you (still delicious though). 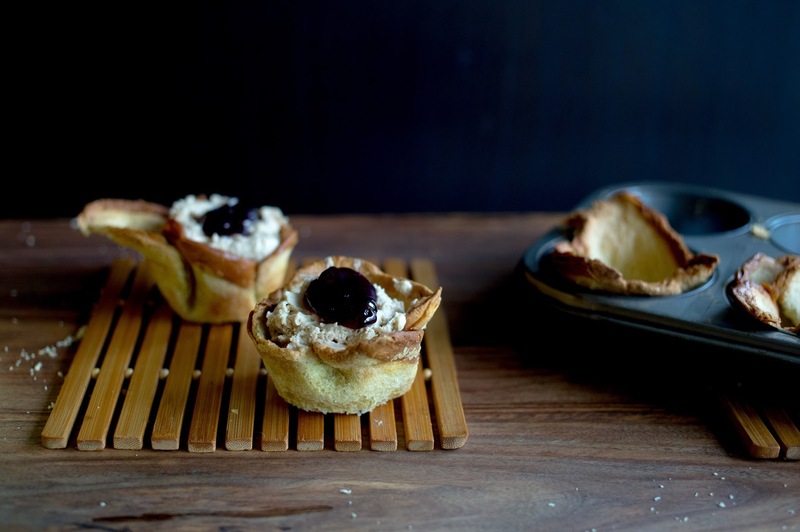 In a large bowl, beat whipping cream to soft peaks. Set aside. In the bowl of a stand mixer or in a large bowl using a hand mixer, beat cream cheese on medium until smooth, about 3 minutes. Add sugar, salt and vanilla. Beat well. Beat in peanut butter until smooth. In 4 additions, using a large rubber spatula, gently fold in whipped cream until mixture is well incorporated but still fluffy. Combine grapes and sugar in a small saucepan and bring to a boil. Mash grapes up a little. Remove from heat and strain grape mixture through a jelly bag, some cheesecloth, or a fine mesh strainer. If you want a clear jelly, the jelly bag is the best bet. The other methods will let some of the grape through and cloud up the jelly. I didn’t mind. Put collected juice back into a small saucepan with the sugar (to taste) and heat to dissolve. Let cool. Now measure how much liquid you have. For every cup of liquid, you’ll need 1/2 tbsp of powdered gelatin. Set aside 2 tbsp of the cooled, sweetened juice and sprinkle gelatin on top. Let bloom for 10 minutes. In the meantime, heat the rest of the juice back up. Once gelatin has bloomed, combine with hot juice and stir to dissolve. Add lemon juice to taste. Pour into prepared contained and refrigerate until set. 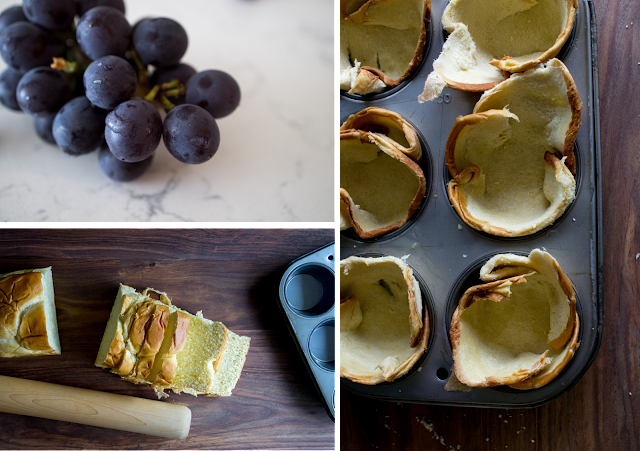 This recipe can be increased depending on how many grapes you have!